Coconut is a pan-tropical species usually found in humid coastal areas between latitudes 26 degrees north and south. The origin of this plant is uncertain, but many experts believe it's from the west Pacific and Indian Ocean islands. As it is not a palm for dry climates, it is typically encountered in the continental U.S. only in South Florida, and the extreme southern tip of Texas. Coconut palms are also occasionally seen in nominally frost-free micro-climates in Zone 9. Most of us in the U.S. are familiar with the coconut palm from resorts in Hawaii, Florida and the Caribbean. Since falling coconuts can pose a serious (sometimes fatal!) health hazard to guests, they are often removed by resort managers hoping to avoid injuries and lawsuits. Honolulu regularly has tall coconut trees trimmed due to a lawsuit. This is a solution to this problem. Samoan Coconut Trees stay short and squat. 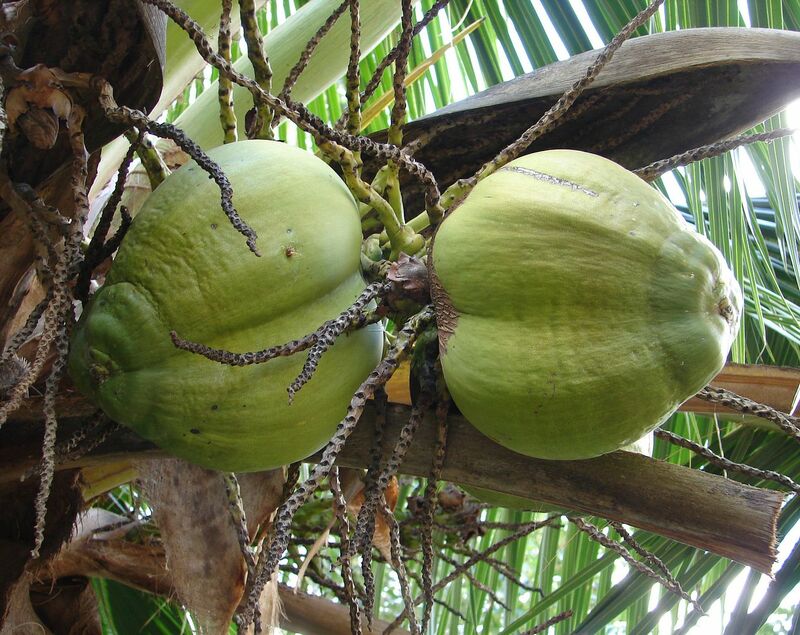 It bears coconuts are able to be picked without a ladder. During the last two decades, coconut palms in south Florida have been attacked by a microorganism that causes a fatal disease called lethal yellowing. Fortunately, Samoan Dwarf Coconut is lethal yellowing resistant. The Samoan Dwarf Coconut in Hawaii, and many other palm species are resistant to lethal yellows. This beautiful palm embodies the romance of the tropics and is also of great economic value. There are many varieties, from dwarfs to the familiar tall growing types that reach 50-80 ft. All have graceful gray trunks topped by a crown of pinnately compound yellow-green leaves. Each leaf is 12-15 ft long with many leaflets. Samoan Dwarf Coconut is a squat palm tree up to 30 feet in height, but usually much less. 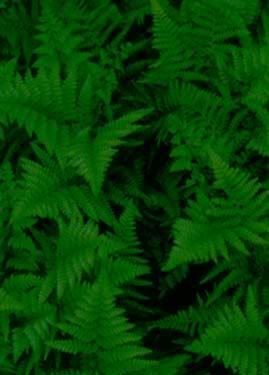 The large spirally arranged leaves are up to 12 feet or more in length, and are pinnately divided into numerous strap shaped segments. The separate male and female flowers are in axillary panicles. The male flowers have 3 yellow petals and 2 stamens. The ovoid coconut is up to a foot long, and is composed of a thick fibrous husk, a hard shell, and a single seed with the copra lining the interior, and water (coconut milk) filling the cavity when it is young. Coconut palms have two natural subgroups simply referred to as "Tall" and "Dwarf". Most commercial plantings use high yielding, longer lived Tall cultivars, and each region has its own selections, e.g., Ceylon Tall', Indian Tall', Jamaica Tall' (syn. Atlantic Tall'), Panama Tall' (syn. Pacific Tall'). The Tall cultivar group is sometimes given the name Cocos nucifera var. typica, and the dwarf cultivar group C. nucifera var. nana. Samoan Coconut Trees are in this dwarf group. Dwarf cultivars, particularly the popular ornamentals, are largely self-pollinating as opposed to the Tall cultivars of commerce which rarely pollinate themselves. Coconuts are large, dry drupes, ovoid in shape, up to 15" long and 12" wide. The exocarp or skin is green, yellow, or bronze-gold, turning to brown, depending on cultivar and maturity. The mesocarp is fibrous and dry at maturity; the product coir is derived from this layer. The endocarp is the hard shell enclosing the seed. Seeds are the largest of any plant, and have a thin brown seed coat. Seeds are filled with endosperm, which is solid and adherent to the seed coat, and also in liquid form, called "milk". Copra is derived from the solid endosperm. Soils - adaptable to many soil types, and can be grown inland provided adequate drainage and pH between 5.0 and 8.0. Water needs - 40-60" of water per year, and perform better in high humidity, supremely tolerant of hurricane force winds and driving rain, and rarely uprooted. Tolerates salt spray better than most crops, and can tolerate brief flooding associated with tropical storms. Moisture: Can withstand drought, but likes moisture if well drained. Hardiness: Zone 10 - 11; for virtually frostfree areas only. Coconut palms can tolerate frost and freezing of only briefest duration - even then leaves will discolor and the plant is left susceptible to fungus diseases. 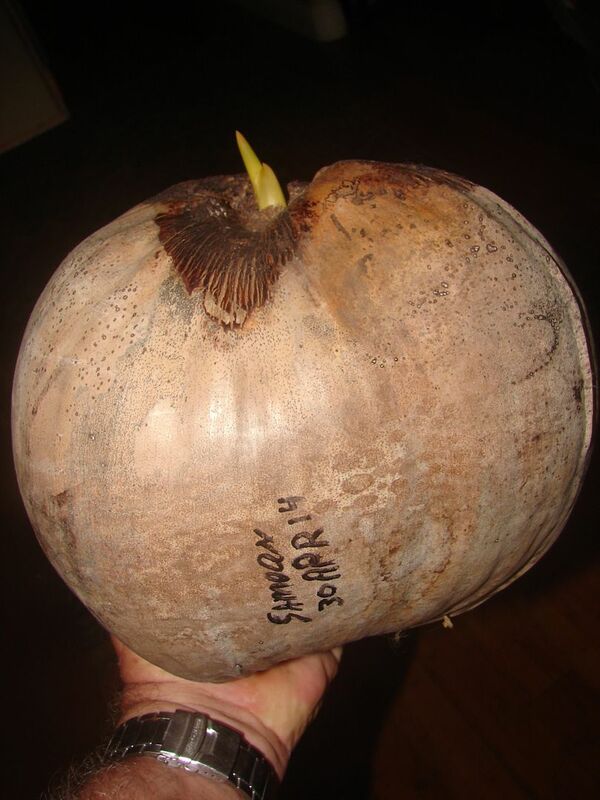 Samoan Dwarf Coconuts are large drupes, ovoid in shape, up to 12" long and 10" wide. The exocarp or skin is green, turning to brown with age. The mesocarp is fibrous and dry at maturity. Samoan Dwarf Coconut Tree makes a beautiful accent on the lawn and provides nice filtered shade for the patio. The Samoan Dwarf Coconut is very salt tolerant and is at its most sensational when planted beachside where the sea breeze can rustle its huge feather leaves. Aloha, COLD WEATHER? We ship only if weather along the route is safe for Live Plants. If any chance of cold or heat damage we wait to ship until safe. We guarantee LIVE ARRIVAL within the USA. All bare-root live plants shipped are wrapped in moist sphagnum moss to ensure the plant's healthy transit to you. 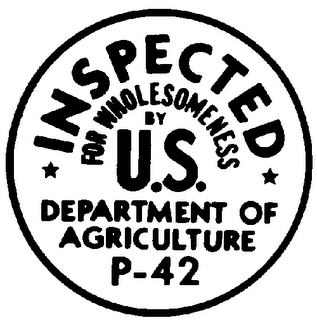 All live plants are Inspected By USDA Plant Inspectors before they are shipped to insure you get healthy pest free plants and seeds. 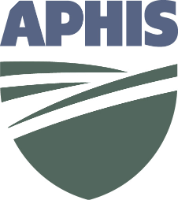 The additional charge ($75US) for any Phytosanitary Certificate is not included in this offer. Import duties, taxes, and charges are not included in the item price or shipping cost. These charges are the buyer's responsibility. We do ship Seeds Internationally worldwide. Proper Permits and Documents are the Buyer's responsibility. Please request any documents prior to shipping. (shipped with or without documents) and no refunds or replacements are offered for Dead On Arrival, loss, confiscation, Customs Seizure, unanticipated charges, etc. We accept online payments only through PayPal, Cash payments are only acceptable for in-person pick-ups and cash-on-delivery (COD). Cash payment can not be sent through the mail. Message me if you want to send cash. We will ship once a week - ON or BEFORE WEDNESDAYS, because of the special stamps needed to ship plants and cuttings to you. This can only be done at the Dept. of Agriculture. If payments are not met before that MONDAY, your items will be shipped the following week and NOT eligible for any combined discount. Non-paying bidders will be reported as an unpaid item to eBay. INTERNATIONAL SHIPPING	is not included in this offer. INTERNATIONAL SHIPPING ON LIVE PLANTS on a case by case basis. For 8+ winning auctions, the combined discount is 30% of the total Shipping and Handling charges. My stores' combined shipping is built in for same items rather than a varied selection. 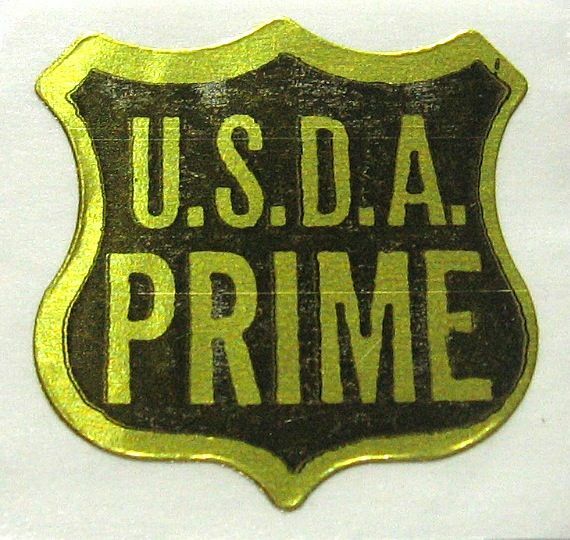 Domestic S/H includes postage, USDA certification and inspection, proper packing and delivery to Airport for prompt delivery. I can't really change any of these. If you want one of this and one of that, it is hard to discount much as each different species requires it's own prep, packing, then at USDA each has to be unwrapped and inspected then repacked. USDA requires us to clean and prepare every last piece before we drive them to the Inspection Station on the other side of the island. This requirement takes my wife and I, 2-3 days to pack items and get ready to ship. The whole next day we drive around the island and get inspected (2-3 hours), then drive to the Airport Post Office to drop off. It takes the same work with the same type item if you can understand. US orders ONLY are GUARANTEED LIVE ARRIVAL. All International orders are shipped at the BUYER's RISK! Please Do NOT email me after a week after receiving and repotting your plant, and make a claim it arrived damaged. All photo support must be as arrived in original condition when received (in the box and packed as delivered). If you repot your plant after delivery, all warranties are voided and no replacement is offered. You should use good gardening skills and repot if desired but at buyer's risk and expense. If repotted, you are responsible for the condition of the plant. NO REPLACEMENT or REFUND WILL BE CONSIDERED IF YOU HAVE REPOTTED THE PLANT. cept, because there is no way to know what kind of conditions it will endure in the trip to your door. My responsibility ends when a live plant is delivered to your door. If you need to return an item, be sure to follow these item condition guidelines. For details on the seller's return policy (including how long you have to return an item, who pays for return shipping, and restocking fees), check the Return policy section of this listing. From delivery confirmation, you have only 48 hours from delivery confirmation to make any 'Arrived Damaged' claim. You must return an item in the same condition as it was received, not used or altered in any way. Replacement or refunds are NOT an options for CUSTOMS SEIZURE.